Find out how much your trade-in vehicle is worth at BMW of Bloomington with our trade-in calculator. Simply input your vehicle info below to have an idea of what your car is worth when trading in toward a new BMW or a pre-owned vehicle. 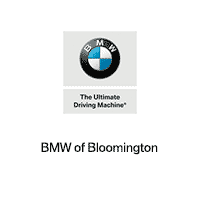 By submitting this form you agree to be contacted by a BMW of Bloomington staff member. Looking to upgrade from your car to a new — or new-to-you — car? Follow these steps. After you’ve estimated your vehicle’s trade-in value, start looking for your next car in our selection of new and used models — a Certified Pre-Owned BMW brings with it the peace of mind of a warranty with the savings of a pre-owned car. If your trade-in vehicle doesn’t cover the value of a new car or crossover, our financing department can help with the remainder. Do you still have a loan balance on your trade-in? We can work with you to figure out how to roll it into a new vehicle loan and whether that’s the right option for you. When you’ve decided on your next vehicle, stop by our Bloomington showroom with your title, registration, key, and any current loan payoff information. From there, we’ll inspect the vehicle and finalize your trade-in value. Want to learn more about trading in your car? Contact us today at %%di_phone%%!